Comtesse double patience set by Bielefelder Spielkarten Fabrik GmbH, 1960s, with the beautifully designed court cards expressing different personalities. The four aces are decorated. 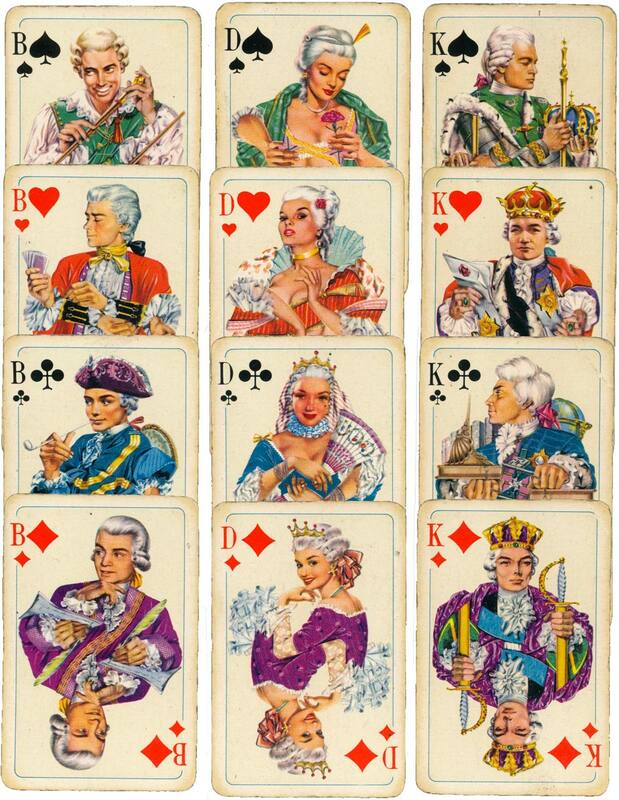 The deck was republished several times over the years, sometimes as a full-sized skat deck or in a plastic box; in this edition, with German indices, the black kings have no crowns. 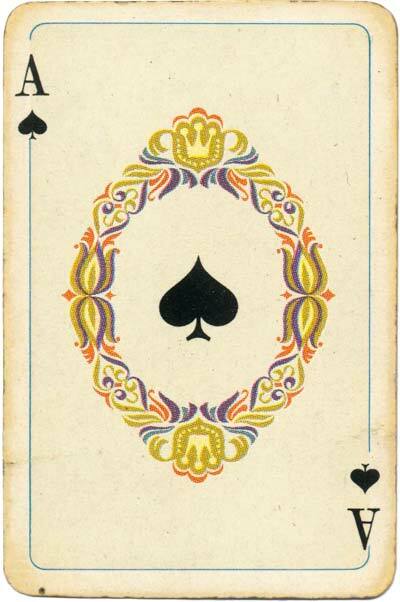 Above: “Comtesse” by Bielefelder Spielkarten Fabrik GmbH, 1960s. 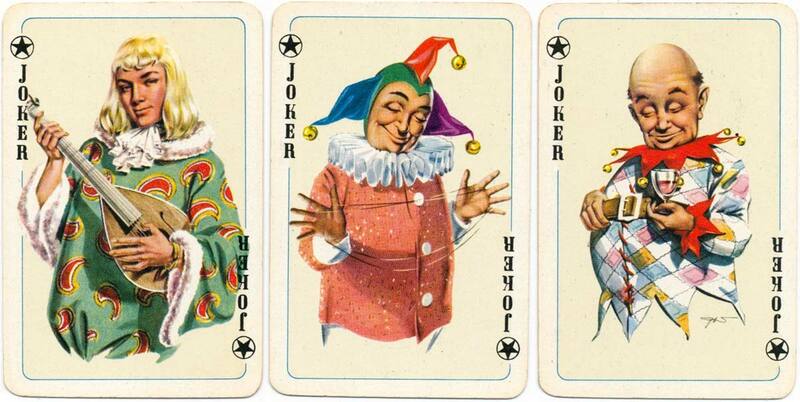 Each pack contains 52 cards + 3 jokers, one red-back and one blue-back. The set comes in a vinyl wallet, with an instructions leaflet in German with rules for several games of "patience". The name of the manufacturer appears on the seven of spades and the logo on the ten of clubs. Images courtesy Matt Probert.